Congratulations to all our newly admitted mature students! Whether you're coming to university for the first time or returning after a number of years away, you can significantly ease your transition to York and dramatically increase your chances of success by attending Orientation. By accepting York’s offer of admission, you are well on the way to an exciting year of studies ahead. But before you get there, you’ll access YU Start, pick your courses, and attend Orientation Day on September 4, 2018. Orientation Day is a campus-wide event open to all first-year students. We encourage mature students to attend! In addition to York's central Orientation Day, we strongly encourage you to take part in one of our Mature Student Transition Events. 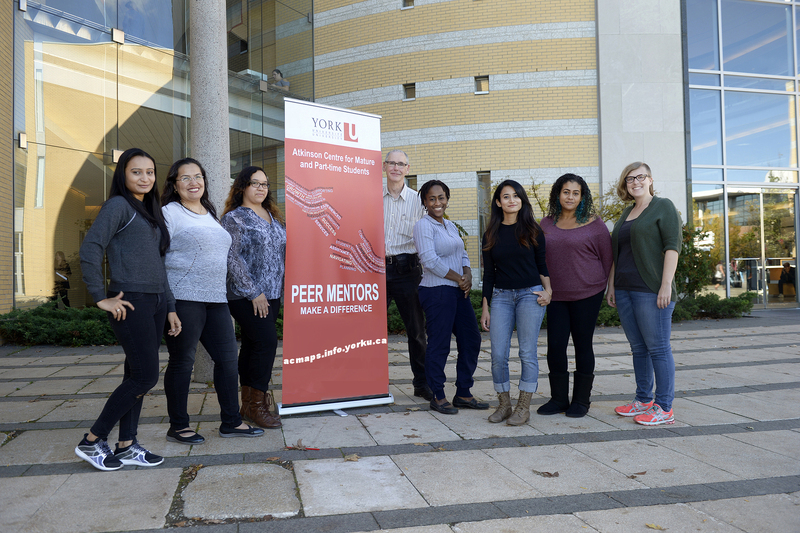 Of particular interest to newly admitted mature students, the event will explore key factors in mature student success through the personal stories of current mature students at York University. Their stories will inspire you! To RSVP for the Mature Student Transition Event, please log in to YU Start and select the desired date. Please click here for help registering for orientation. All events, including registration will occur in Vari Hall. The registration desk is located in the middle of Vari Hall, and will open 30 minutes prior to the beginning of the event. The Mature Student Transition Event is divided into several workshops connected by the theme of mature student success. The workshop sessions are offered in a conference style, permitting students to select sessions they feel are most relevant to their needs. The event includes opportunities for participants to meet fellow mature students and the staff of the Atkinson Centre for Mature and Part-time Students. Staff and volunteers will be on hand to answer general questions too, and share information about ACMAPS’ various services, including peer mentoring, advising, and the Mature Student First-Year Experience Program. And, representatives from the York University Mature Student Organization (YUMSO) will be on hand to talk with you about building mature student community on campus. You’ll attend sessions tailored to the needs of adult learners/ mature students. You’ll build connections with staff, faculty, and your fellow students. You’ll learn how ACMAPS can be a valuable asset to you throughout your years of study. For information on additional events that ACMAPS will host throughout the school year, please view our events page.